I fell in love with this recipe the second time I made it. Every Sunday or Monday, I make three or four main dishes to last the rest of the week. With this one, I had made it and then immediately put it into the refrigerator without even really tasting it. Flash forward three days later, it was late, I had just gotten home from the gym, I was tired, hunger, and not in the mood. Ten minutes after I put the noodles on to cook, I was sitting down to a full meal. Again, this one is slightly adapted from BGSK. So what you do first depends on whether or not you want to add meat or have a purely vegan/vegetarian meal. For those who want to add meat, cook the meat in a pan about a tablespoon of oil, season slightly with salt and pepper over medium heat. Once the meat has been cooked to your taste, set this aside to be added back later. Using the same pan, sauté the whites of the scallion and the ginger for about a minute or two. For those how do not want to add meat, over a medium heat, sauté the oil, ginger, and scallion whites in a pan for about a minute or two. Regardless of what your step one is, everyone will need to add the broth of choice, water, and wine and bring it to a boil while string occasionally. 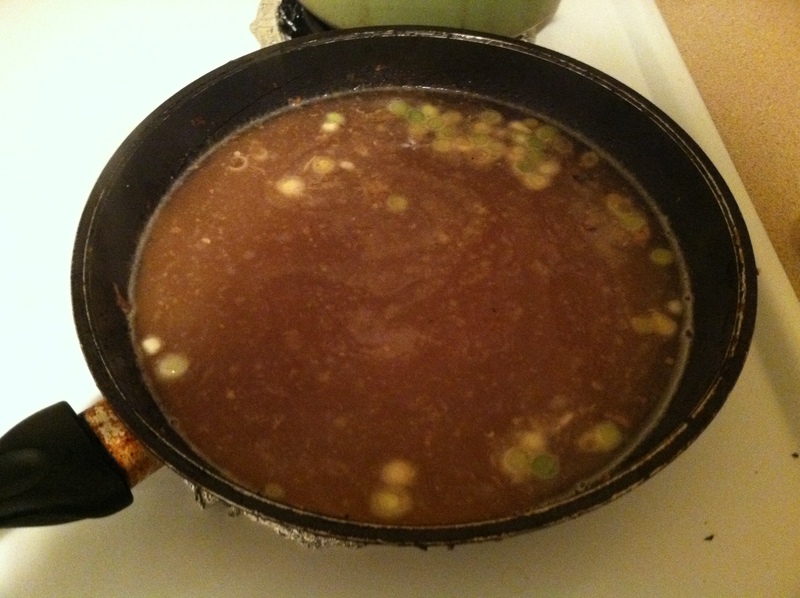 Add in the soy sauce and rice wine vinegar, turn the burner low and let that settle in for a minute. So at this point, what I like to do with this recipe is get it ready for the fridge by separating everything into its own individual bowl. In other words, the soup goes into its own bowl, the chopped vegetables goes into their own bowl and the noodles aren’t made until you are ready to eat. If you made it with meat, I would recommend placing that into its own bowl or with the soup. Don’t put the meat in the same bowl as the vegetables because the vegetables colors will start to rub off onto the meat. It doesn’t really do anything to the flavor but it doesn’t look appealing. To actually prepare the dish, take about a cup of the soup, more if you want the noodles to float in it, and use that to cook the noodles. 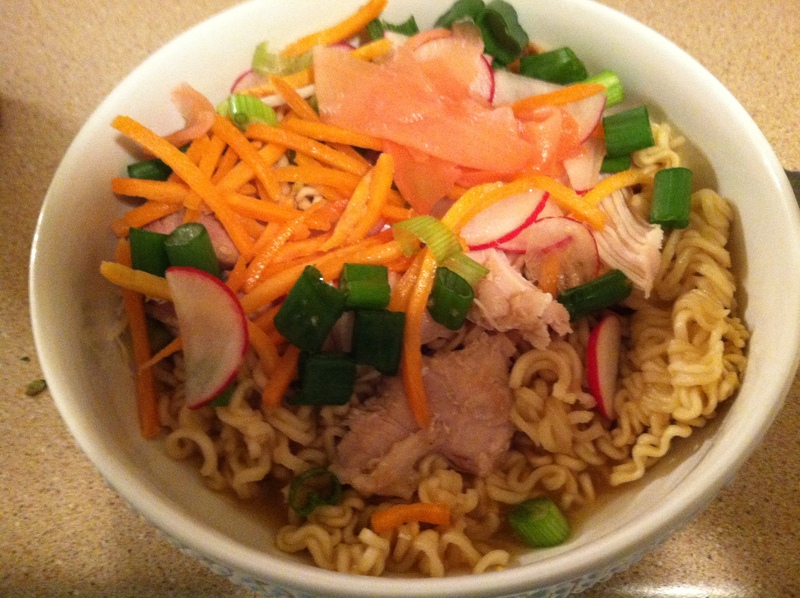 If you reheating the meat, add it into the noodle broth just long enough to warm it up. When the noodles are fully cooked, transfer the entire content of the pot to a bowl, garnish with vegetables and serve. Thank you all for ready and enjoy.